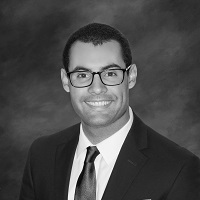 Brian Tamsut is an associate in the firm’s Westlake Village office. His practice focuses on patent and trademark prosecution and intellectual property litigation in federal courts. Prior to joining as an attorney, Brian was a summer associate then patent agent in the firm’s Westlake Office. Brian attended UC Irvine School of Law as an Erwin Chemerinsky Merit Scholar. During law school he worked pro bono for the UC Irvine Intellectual Property, Arts, and Technology Law Clinic where he represented copyright holders before a federal rulemaking agency and testified about the Digital Millennium Copyright Act (DMCA) before the United States Copyright Office. Brian has extensive experience in biotechnology and computer science. Prior to law school, he worked for Bayer Crop Science and other biotechnology laboratories on technology for genetically engineering agricultural crops for better yields. He also designed an electrochemical biosensor which won first place in the International Genetically Engineered Machine Competition (iGEM) in 2014. “Rights holders need to keep faith in standard-essential patents,” IAM Magazine, June 2016, Co-author with J. Siegel, M. Arnold, A. Johnson, M. Li, M. Pessian, S. Pennebaker, A. Zeng, and J. Zhang.